Lennox X8311 - Healthy Climate HCXF14-10 MERV 10 Expandable Filter 20" x 20" x 5"
Note: This item DOES NOT come with the replacement inner housing reusable filter frame. If you need to convert from a standard box media filter, purchase the Lennox X8305 filter kit which includes the expandable filter and the inner housing reusable filter frame. If you need a standard box 20" x 20" x 5" filter, purchase the Lennox X0585. 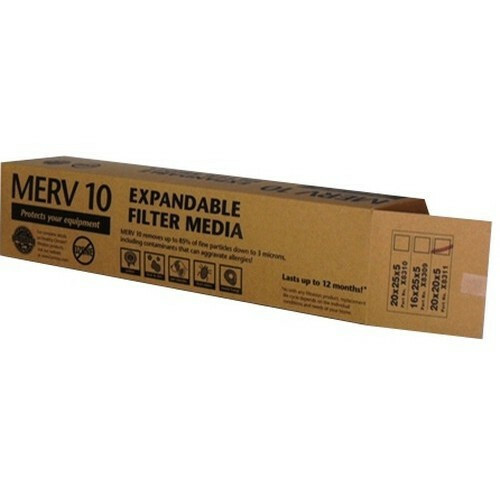 You're reviewing: Lennox X8311 - Healthy Climate HCXF14-10 MERV 10 Expandable Filter 20" x 20" x 5"